The first impressions are most lasting! It is relevant not only in life, but also in design. The design impression consists of a number of factors, and one of the most important is the color. 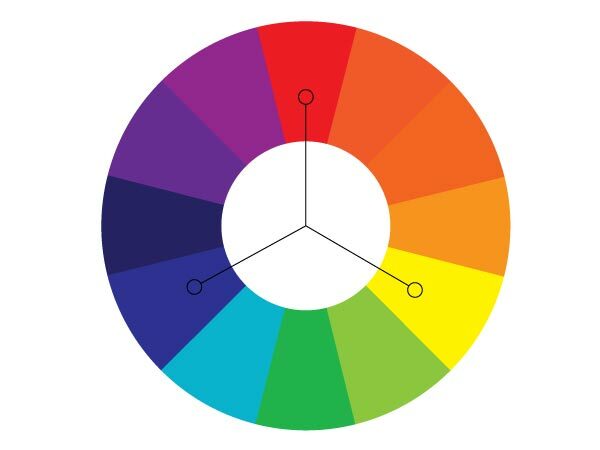 It is not always easy to understand what colors go together, and this article covers the basics of color theory, which will be useful in choosing a color scheme for the website design. Let's start with the basics. Here are seven tools that can significantly simplify the life of a web developer, coder or designer. This is a tool for selecting fonts. 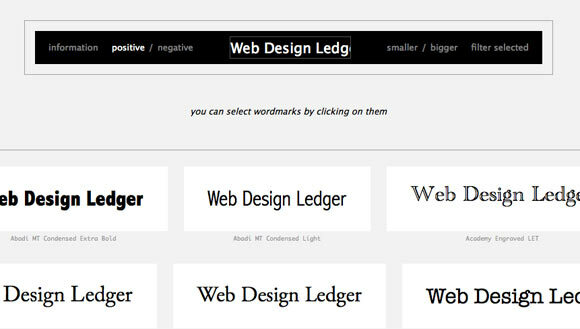 Wordmark.it allows you to see how a sentence looks like with all the fonts installed on the computer. It downloads quickly and has convenient filters. Unfortunately, there is no way to set the background color and letters. The adaptive layout requires a completely different way of thinking when planning its structure that is both the challenging and the interesting. 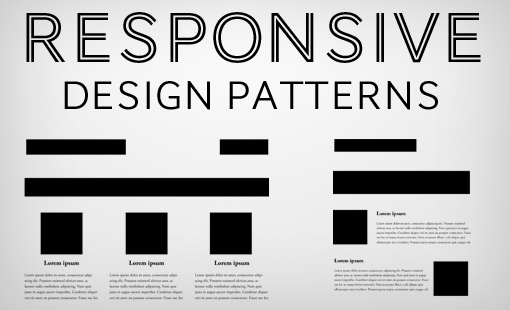 In order to reprogram your brain to look at these layouts differently, we're going to take a look at some interesting patterns of adaptive layout, which were created by talented designers around the web. Working as a designer is very interesting. This is a creative work, and like any creative person, the designer needs a muse and inspiration. Each designer has a set of websites that they go periodically to draw that inspiration. Whether you are new to web design or just out looking for a little something extra to add to your current website, We are sure you will be surprised at all the tools and resources available! We just have such list that we want to share with you. Of course, you are welcome to tell us about your resources, we would be grateful. Now, take your time browsing around and enjoy. 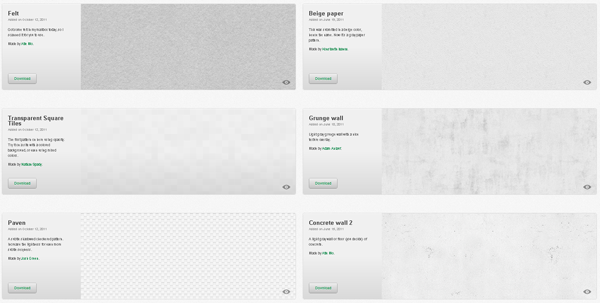 Perhaps, it is a really cool resource and a great place for web designers, artists and photographers. Here is everything that needed for the inspiration. 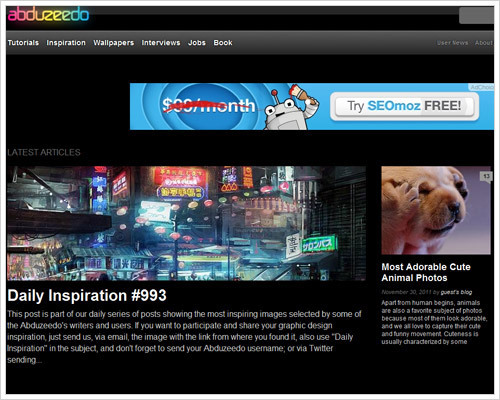 Namely, it offers the collections of sites, free fonts, and of course a section of “Daily inspiration” and much more. For convenience, here are a few links. If you are starting a new website and finishing its design, it makes sense to look at a collection of Subtle Patterns: it is well-arranged collection of background textures (patterns) that is licensed under Creative Commons Attribution 3.0 Unported. They can be used with no restrictions. 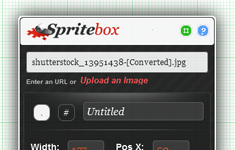 The website has a convenient preview: each texture can be instantly used to the whole page as the background. Now there are 93 patterns, a collection has been updated with outstanding new items every week.